Recently, I was asked to create a sample for Fluffy Fairy Games relating to their popular mobile game Idle Miner Tycoon. I was tasked to create an event and various assets to be utilized for the event. This included: an event coin, miner skins, manager skins, items to mine and a background. 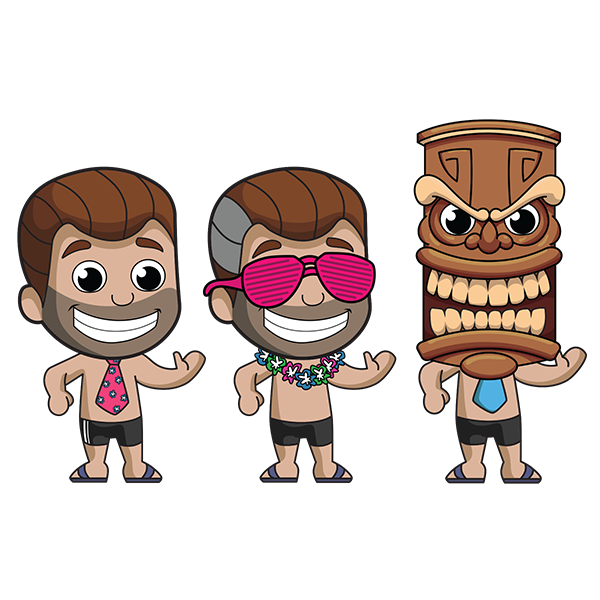 I decided that my event would be entitled Tiki Beach Party. Because I also enjoy the marketing side of design, I thought it would be interesting to turn a miner into a digital puppet that could be used via social media to promote the event. Having a talking character could be interesting to share on Facebook, Instagram, Twitter and YouTube to promote a game, company or even a brand. This is a sample video of how a character could be created for social media to promote a game, brand or company. In the video submitted to Fluffy Fairy Games, I gave the character a special voice. 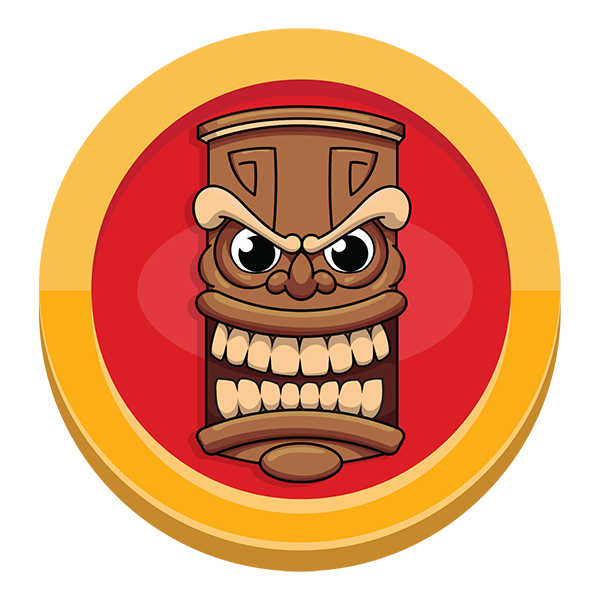 This was the event coin created for the Tiki Beach Party Event for my Idle Miner sample. 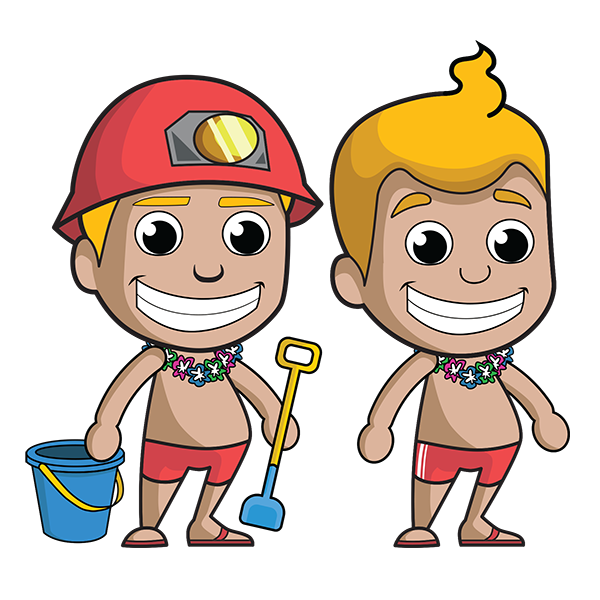 Here are the two miners that I designed for the sample that I submitted to Fluffy Fairy Games. These were merely concept skins, if I were to develop these skins for a game they would be broken down into more parts so that they could move. I was originally asked to only create one skin for each character, but since there are different types of managers in Idle Miner Tycoon, I wanted to show how the different types of managers could look with the Tiki Manager being the highest level one could use in the game's special event. I decided to create two sets of possible assets to mine. The first set being very beach oriented. 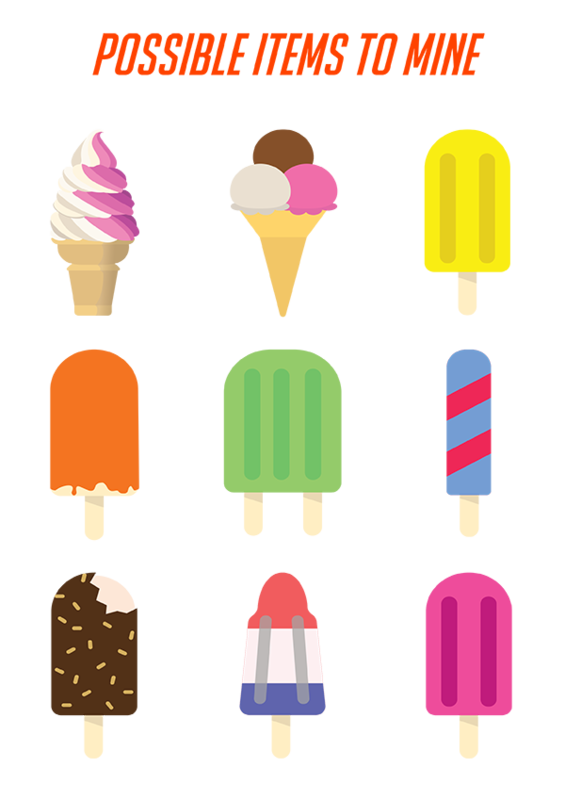 For the second set of assets to be mined, I recycled the popsicles and ice cream cones from an older project. I thought because it is a summer event these could be interesting to mine on the beach! I was asked to create not only a background but the layers of soil that were to be mined. I decided it would be nice to recreate an entire concept scene from Idle Miner Tycoon. Thus, I built the mine shafts, elevator and buildings. The clouds were created to match Fluffy Fairy Game's Saint Patricks Day Event and would be able to move across the screen. The boat could also move and the lights could blink as well. This concept art features the assets that would be mined. I really liked how the beach ball and ice cream cone looked and thought they could be interesting for players to mine in the game. As the mine goes deeper other items could be added. I really enjoyed creating sample concept artwork for the Fluffy Fairy Games and Idle Miner Tycoon. It would be interesting working with animators to bring characters like these to life in a mobile game. 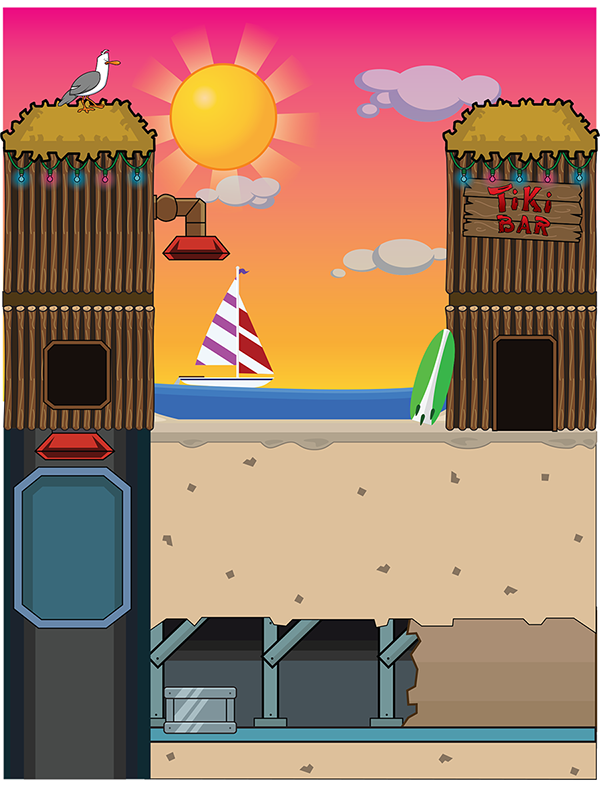 Creating 2D artwork is always fun and it is exciting to design samples for popular games such as Idle Miner Tycoon. Sample concept artwork created for Fluffy Fairy Games and Idle Miner. This includes various game assets for a special event: event coin, character skins, items to mine, background, etc. Additionally, a character was created as virtual puppet and animated to be used for social media channels.